Our little garage, disorderly and unfinished though it is, also currently doubles as a hot box for drying laundry and, I suppose, Bikram Yoga: the Home Version. No need to heat the place up with our dryer in the midst of the unprecedented demand currently on the Texas power grid. 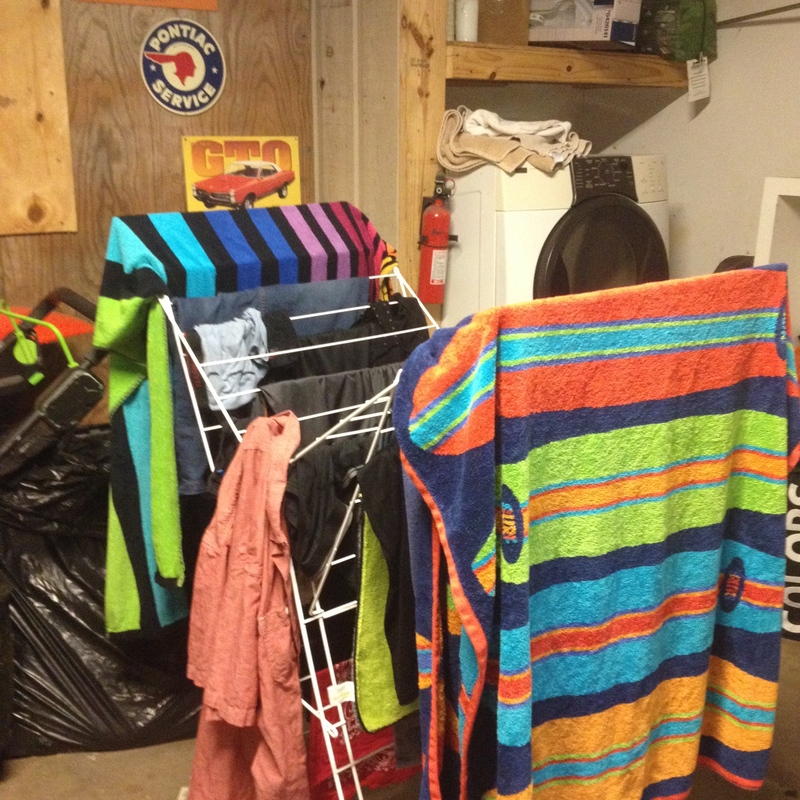 This entry was posted in Frugal Living, Frugal Tuesday, Homesteading and tagged Energy-Saving, frugal, Laundry by Elizabeth Vega. Bookmark the permalink.